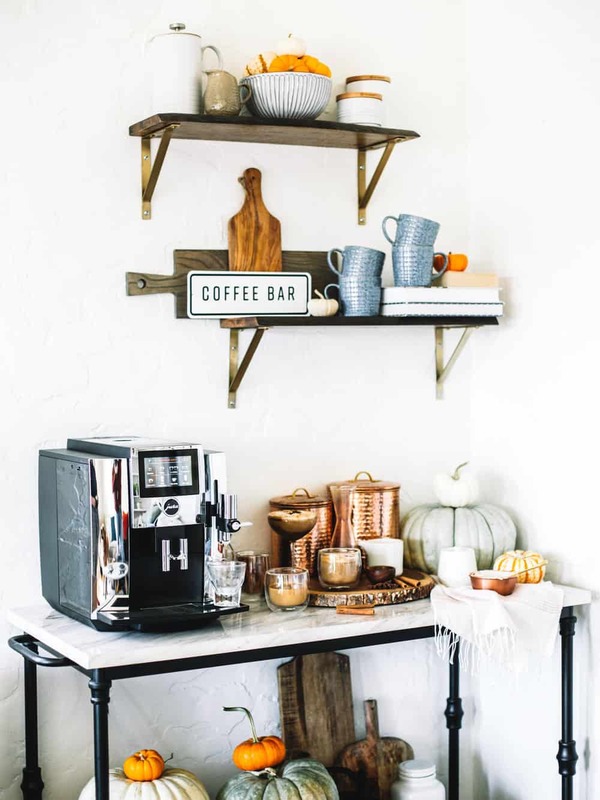 Are you a pumpkin spice latte lover?! I, myself, have always been. I pretty much try and convert everyone around me in the fall season just to have an excuse to have as many PSL’s as I can. If pumpkin spice is basic, than I am totally okay with basking in my basicness. The creamy pumpkin spiced base, rich espresso, and spicy whip cream gets me every single time. Every. Single. Time! 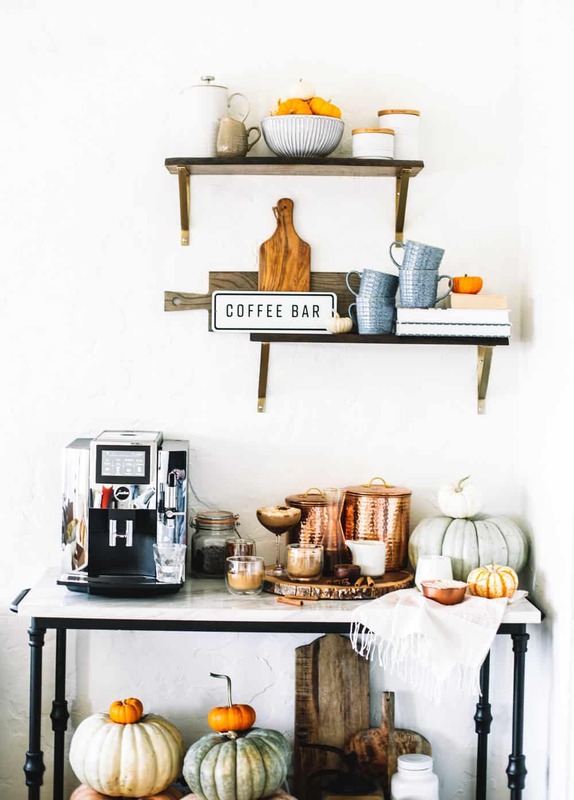 I have wanted to create a pumpkin spice latte ‘bar’ all season! We recently got a new espresso machine, the Jura S8, and it was begging for a little party action. 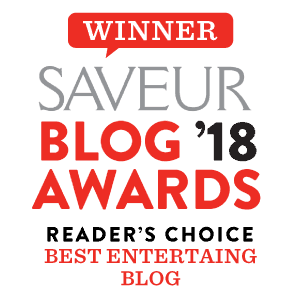 We are total coffee people here! I love Starbucks just as much as the next girl but there is so much satisfaction in making your favorite drinks at home. They taste cozier, you can make them however you want and you don’t have to pay extra for almond milk! While the pumpkin spice latte is legendary, a pumpkin ‘spiked’ latte is even more memorable! I love sneaking in a little bourbon on the weekends for even more spice! Below I’m showing you how to deck out your own pumpkin spice latte bar. 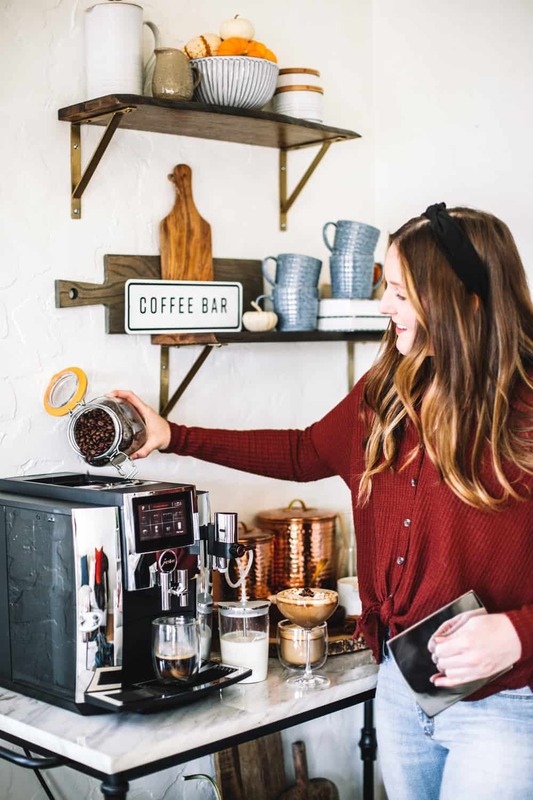 Some of my favorite types of glassware to stock this latte bar with are cozy coffee mugs for standard PSL’s, double walled glass mugs (so you can see what you’re drinking!) and martini or coupe glasses for spiked pumpkin spice lattes! 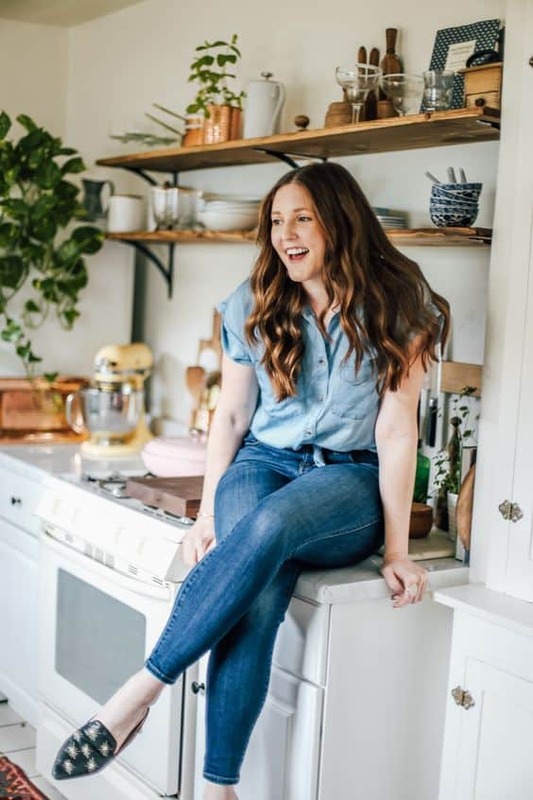 For all of the shopping details for your own bar be sure to head to The Inspired Home! My favorite ingredient essentials for a pumpkin spice latte bar! Milk! Be sure to have 2% for frothy drinks and almond/non dairy milk alternative for variety! 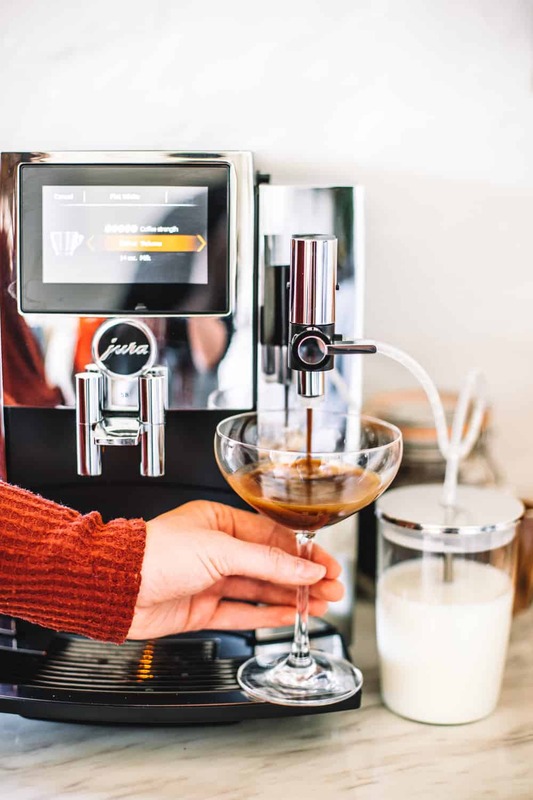 I love the Jura S8 because I’m just one touch away from a frothy latte that I can put my own pumpkin spice spin on! Espresso Beans! My best tip with owning an espresso machine is to STOCK UP on your beans! We have totally stopped going to Starbucks and realized how much coffee we really drink! We now keep the beans stocked up so we never run out! Pumpkin Spice Syrup! A must for a pumpkin spice bar! Follow the recipe below to add into all of your favorite drinks! Spiced Whip Cream! Nothing makes a drink cozier than with some fluffy whip cream! I love making a homemade batch and adding in a few strong pinches of pumpkin pie spice to the batch. Bourbon! Yes, bourbon! 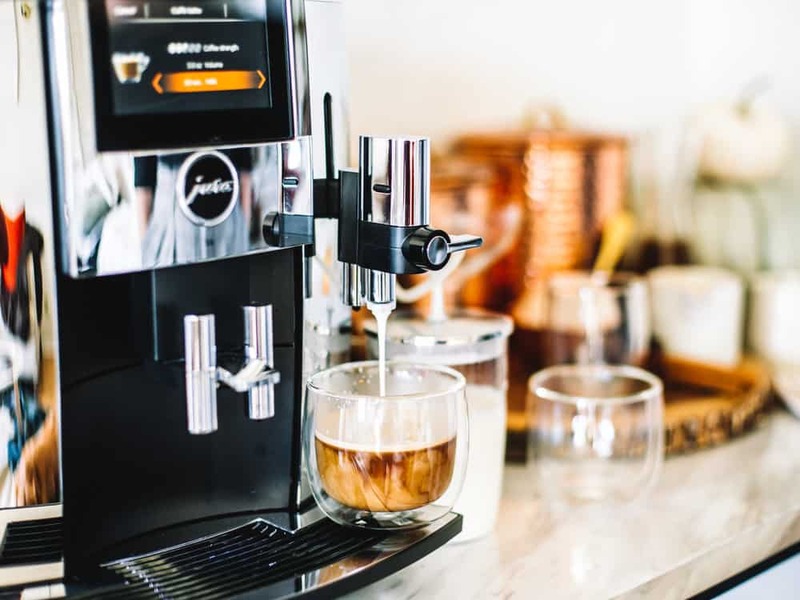 For a fun twist, brew a standard latte from the espresso machine and add in a shot of bourbon to the bottom before brewing. The espresso and bourbon combo will keep you warm all fall long! Pumpkin Spice, Cinnamon Sticks and Star Anise! 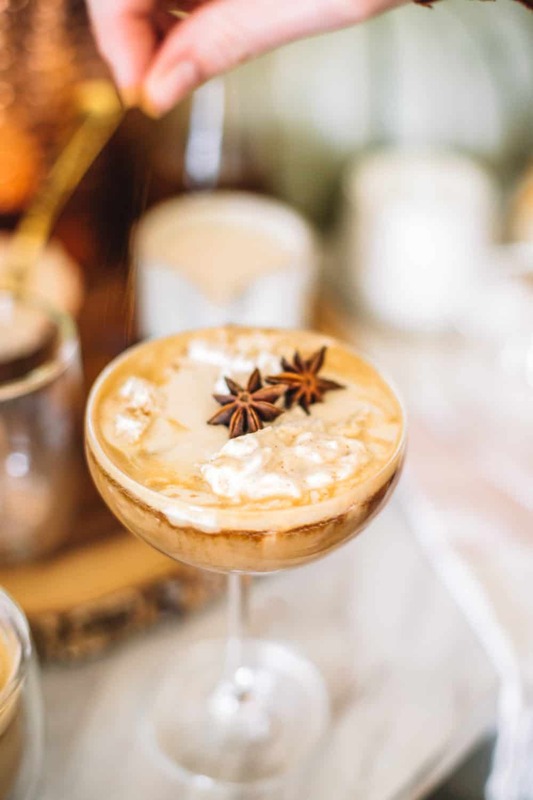 I love keeping a little dish of pumpkin spice blend and star anise to top off drinks with. These give each cocktail a pretty garnish and one more kick of flavor! 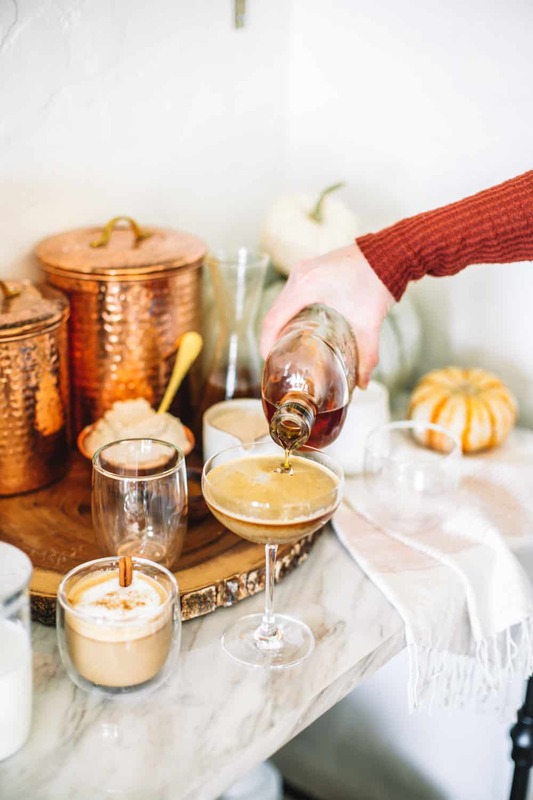 Homemade Pumpkin Spice Syrup: Perfect for lattes, desserts and more! Whisk all ingredients until smooth. Heat in a small sauce pan on low heat for 10-15 minutes or until the ingredients have melted down. Store in a jar or seal tight container for up to two weeks in the refrigerator. 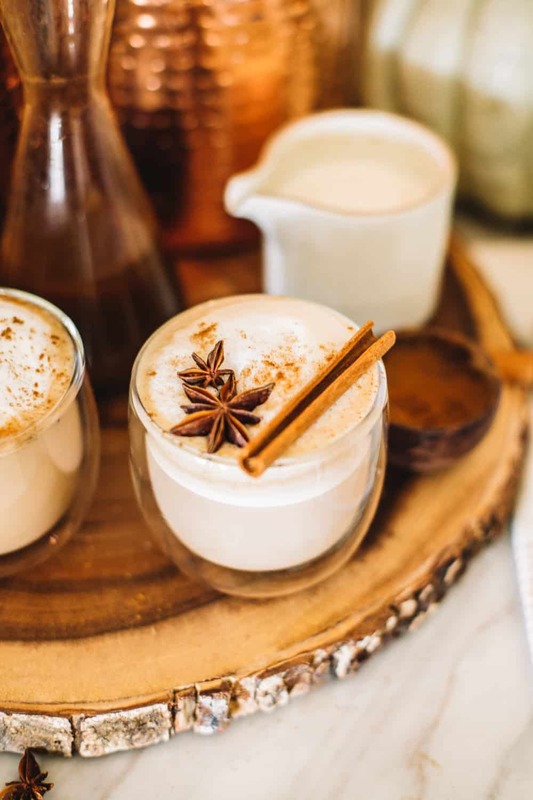 For perfectly spiced cappuccinos, lattes and coffee add in 2-3 tablespoons per drink. Chill your mixing bowl in the freezer for 10-15 minutes. Add in cream and whip until stiff peaks form. Fold in pumpkin pie spice and keep chilled until ready for serving.